Triangle Cross Ranch uses a network of mental health professionals, educational consultants, recovery coaches, social workers, spiritual directors, youth mentors, and vocational/technical instructors in order to provide dynamic and effective service plans for the struggling teens who enter our program. By having a service team that is composed of both direct program employees and contract professionals, Triangle Cross Ranch is able to draw upon the many external resources available in our local community to create a collaborative system of care that will benefit your son. Founder of 3 programs for at-risk young men. The Founders of Triangle Cross Ranch were honored by the state of Wyoming as “Parents of the Year” award in 2002. They were recently awarded the “Fidelity Award” from Catholic Central in Michigan for the unwavering dedication to the Catholic principles of education of this distinguished private school. Perhaps the first ideas for some of the Triangle Cross Ranch philosophies came from Jerry’s childhood where he was taught by the Brother’s of the Holy Cross in the all boys’ school that he attended. Or maybe it was the all men’s college where he earned his engineering degree. Wherever the ideas came from, only a man with the determination, perseverance, and humble nature of Jerry Schneider could have realized the vision. After two years working as an engineer, Jerry decided that he was called to something different. He traded in the office chair for the saddle, and in 1967, started ranching in Wyoming. It took a few years before he found his home, but that happened in 1973 when he purchased the land that would one day be Triangle Cross Ranch. It was on this piece of land that he and his wife Mickey decided they would raise their family of six children. Jerry’s long resume shows the tenacity and hard work of a Wyoming cowboy. Jerry has worn many hats over the years, from a college instructor to a boxing coach. He has owned and operated five different businesses and has been a Wyoming rancher for fifty years. He learned about raising children by being a father to his own six children; Angie, Susie, Danny, twins: Matt and Mark, and Luke. 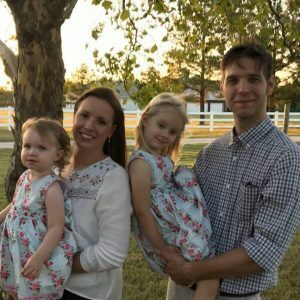 Each of the Schneider children have grown to desire giving to God in their own way; from working with troubled youth, living the missionary life, becoming a priest and Carmelite monk, to obtaining an MBA, each lives to give back. Mickey and Jerry have always felt that their calling was to be parents. Since 1967, when the first troubled youth came to live with them, they have extended this parenting beyond their own family. Over the years, more troubled youth who were in need of some help would come and stay with the Schneider’s. Then in November of 1991, while working cattle on the mountain, Jerry’s horse somersaulted over the top of him. He awoke in the hospital to find that he had lost movement on one side of his body. Knowing how unforgivable Wyoming can be to a cowboy, and how even the strongest, sometimes can’t make it, Jerry wondered how he could continue to run his ranch with a disability such as this. 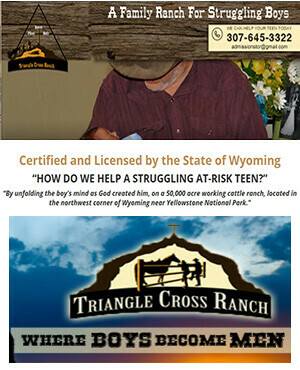 The origin of Triangle Cross: After thinking and praying about it, a couple young men offered their assistance, to help the ranch stay afloat. After those original two troubled youth, they just kept coming. Through his accident, Jerry learned that his true calling was in helping troubled youth find themselves, the way that God created them. He found the rewards of this greater than those found raising cattle, “so now we do both”. Micky was born August 2, 1945 and is the oldest of 12 children. Mickey and Jerry married in 1963 and had 6 children of their own. Mickey was a CNA for two years before deciding to become a stay at home mother. Mickey and Jerry started taking troubled youth into their home in 1992 and Triangle Cross Ranch Youth Ranch was formed in 1996. Mickey says that “my own children were troubled youth so I really understand how helpless other parents feel; the guilt, the “what did I do wrong?” question and all the whys.” Mickey’s experience with her own children as well as the troubled youth she has helped guide through the years has made Mickey an invaluable member of the Triangle Cross family. B.A. Psychology, University of Wyoming, 2007. College – Graduated Northwest College with a Degree in Administration. Over 10 years of experience working with and facilitating the needs of parents with at-risk youth. Julie has been married for over 25 years and has two children and a granddaughter. 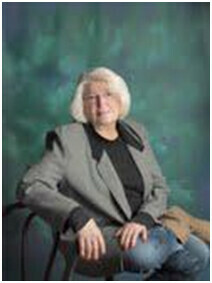 Her hobbies include reading, playing with her grandbaby and spending time with her family and friends. Danny, with his wife Raquel their two young girls, relocated to Triangle Cross from Oklahoma. 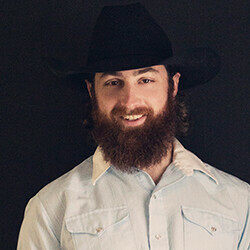 Danny is originally from New Jersey where he grew up on a produce farm, hunting and fishing as much as possible. Raquel grew up on a family dairy farm in Southern Brazil. They met in Oklahoma where Raquel was completing research for her PhD. They got married and moved to Brazil, where they started their family. After returning to the US and settling in, they were in search of a place rooted in the Faith to raise their family in a setting of simplicity and service. This led them to Triangle Cross and they were drawn there because of the opportunity to work with troubled youth, to help young men at such a pivotal time in their lives. Danny’s background in Theology is at the boys’ disposal as they journey toward a deeper relationship with Christ through which they can grow, heal themselves, and heal their relationships with family. Raquel is here to help the boys on this journey with planning and achieving their academic goals, enabling them to set out from the ranch in a position to keep moving forward. me believe in and pursue motivational, experiential, and postmodern theories of behavior change. participant is able to receive, interpret, and be influenced by our current methodologies for growth and change. If however, a participant needs a higher level of care, Mental Health Counseling, psychological testing, or possibly psychiatric assistance, I am trained to recognize and source out such needs. Our approach at Triangle Cross Ranch is similar to Life Coaching concepts. Our approach works predominantly on goal setting and assisting clients in overcoming the possible experiential obstacles/opportunities between self and reaching personal goals. Predominantly we focus on the “here and now” while assisting clients to form their own personal goal setting techniques, schedules for time and tasks, all the while finding their inner potential and path for success. Rex and Annamarie are a married couple who came to Triangle Cross by a call from the Lord. They carry strong family and faith values that they strive to incorporate into everyday life. 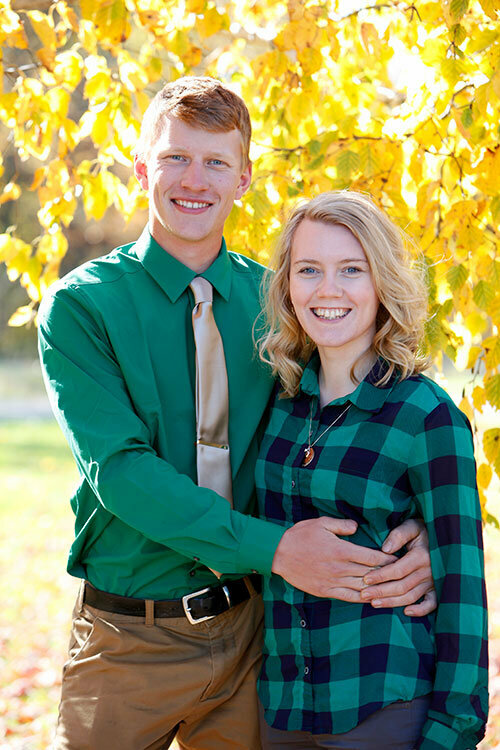 They relocated here from their shared home in central Minnesota; Annamarie grew up on a small family farm, cultivating her love for nature and farm life, while Rex was raised on a hobby farm, learning a strong work ethic from a young age. He was hired as a farmhand by Annamarie’s father, and fell in love. Rex and Annamarie were married in February 2016. They share a vision and heart for mentoring youth and serving the Lord through family values, which has led them to become Catechists and youth ministry leaders in their community. Rex enjoys cruising the countryside on his motorcycle, hunting, fishing, shooting guns, horseback riding, carpentry, card games, hard work, and sleeping in on Saturdays. He loves to share his knowledge and experience with anyone who is interested, and loves being a big brother to 7 siblings (including 3 little sisters who adore him). Annamarie enjoys making good food, singing and live music, horseback riding, tagging along on adventures with her husband, and has a newfound joy for picnics in the mountains. 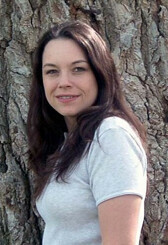 She is passionate about holistic healing and midwifery, and shares a close relationship with her 7 younger siblings. 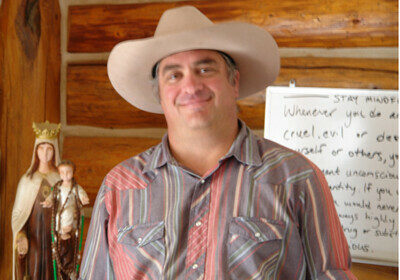 Daniel is a Native American cowboy with a great love of horses who was a former youth at Triangle Cross Ranch. He graduated the program and continued learning and working with horses in Oklahoma. Dan took the values and work ethic he learned and applied them to his life. 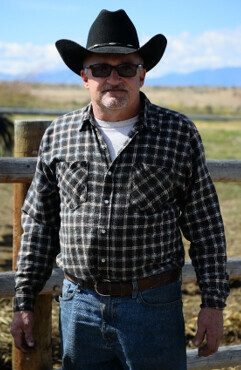 Dan decided to come back and continue to share his natural gifts and experience cowboying while mentoring the youth and educating them on basic cowboy style horsemanship and training working cattle horses. Vo-Tech Trainer in Mechanics- diesel and gas. Farm equipment, semis, welding, metal fabrication, machine shop training. Graduated early and enlisted in the Marines. Ron’s hobbies include spending time with his beautiful wife. He also enjoys spending time outdoors, including hunting and fishing. Dustin Johnson grew up in central Florida, fishing, and adventuring in the mangrove swamps and islands of Tampa Bay. Growing up in a Christian family, he felt stuck in a faith he did not want to be a part of. College was a major time of change while earning his Bachelor of Science, at Clearwater Christian College in business administration and general family counseling from a Christian perspective he started to realize how much God loved him, and the gravity of sin in his life. After earning his Bachelor’s degree, he went to work in Christian schools teaching Bible and technology; it was here that Dustin realized his God gifting in a vocation of helping teens restore their relationship with their families. After 10 years of teaching mainstream students, in 2008, he had an opportunity to work with at-risk teens in residential schools, helping them learn a better way to live and restore relationships with their parents. Having spent almost 20 years working with teens and their families; God has continually demonstrated His desire and faithfulness to forgive, heal and restore families. My name is Kevin Johnson, I have two amazing children, which have provided me with three wonderful grandchildren. My passion is serving God and helping struggling teenagers and their families rebuild their relationships. lescence as a career. Working with adolescence and their families has been an integral part of my life, which I have found very rewarding. I enjoy seeing the growth in young people as they turn their lives around and become productive adults. I have a great love for the outdoors and spend as much time there as possible. When in the outdoors I enjoy fishing, hunting, and camping. 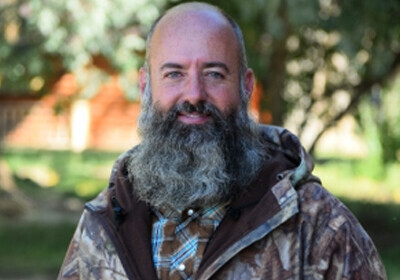 For many years, I have been involved in hunting and outdoor survival education as a certified instructor. While in the outdoors, I am awed by all God has created and I am able to find peace and reconnect. This is a time I enjoy sharing with the younger generation, as it allows me to teach them alternative coping skills. As I step into the next phase of my life, I am able to share the years of knowledge and experience I have obtained with families in crisis. It has been very humbling to find that the things I have learned over many years of working in the field is comforting to these parents and families. God has provided many amazing things in my life and it gives me a great sense of peace to know that the knowledge I have been given can now be shared to comfort, support, and help families navigate through a very difficult time in their lives.